Built with stones from the remains of the 12th century Blanchland Abbey is picturesque Blanchland. The village owes its name to the French canons who lived and worked in the Abbey, distinguished by their white habits. Picturesque Blanchland – Surrounded by magnificent fells, Blanchland straddles the Northumberland and Durham border in the North Pennines Area of Outstanding Natural Beauty. 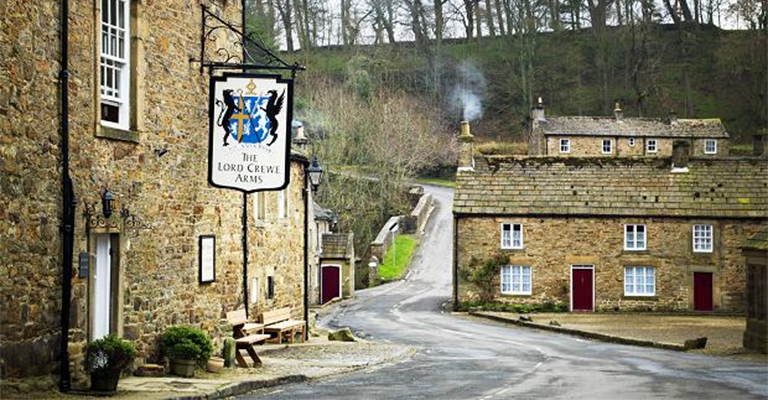 Pay a visit to one of the oldest hostelries in the country – The Lord Crewe Arms dating back to the 12th century. Here, the Jacobite Rebellion leader General Tom Foster hid behind the inn’s great fireplace in 1715. Set sail on nearby Derwent Reservoir where you can cast off for roach here too.